Stretchtape offers multiple vented stretch film and netting options for packages requiring airflow and temperature regulation. Stretchtape’s vented stretch film has die-cut holes through the film, increasing airflow, preventing condensation, and allowing the temperature of the package to be more easily regulated. These properties make vented film ideal for cold and frozen products, including food, produce, and pharmaceutical products. 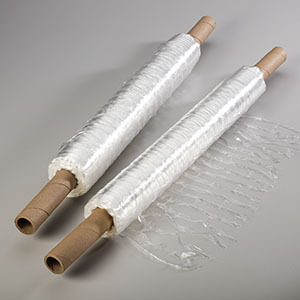 Vented films can also be used in cases in which moisture may be present while wrapping and could potentially damage the load. For example, vented stretch film is often used for bundling firewood to allow moisture to escape and air to flow rather than collecting mold and potentially damaging the product. Vented film is available in hand film and machine film. It is applied easily just as any traditional stretch film. It also sticks only to itself, eliminating any worries about residue left on products after removal. Vented stretch film is also designed to be used with traditional wrapping machines, so there is no specialized equipment needed. These die-cut stretch films provide better load containment than netting and can be used manually and with a machine stretch wrapper. Stretchtape’s netting offers a lightweight packaging solution for automated and semi-automated food product packaging systems. The polyethylene or polypropylene netting allows for high visibility of the product and is approved for direct food contact. Unlike cotton or knitted netting, polyethylene or polypropylene netting does not fray when it is cut. 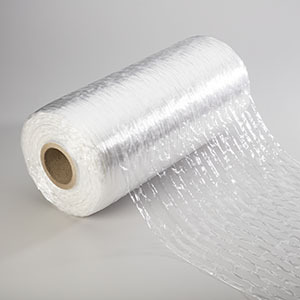 In addition to food and produce packaging, netting is also used for medical and pharmaceutical purposes in which products need increased ventilation and flexible packaging. Additional sizes and gauges may be available upon request.